A warm and cozy café directly on the Crissy Field waterfront path, near the foot of the Golden Gate Bridge. 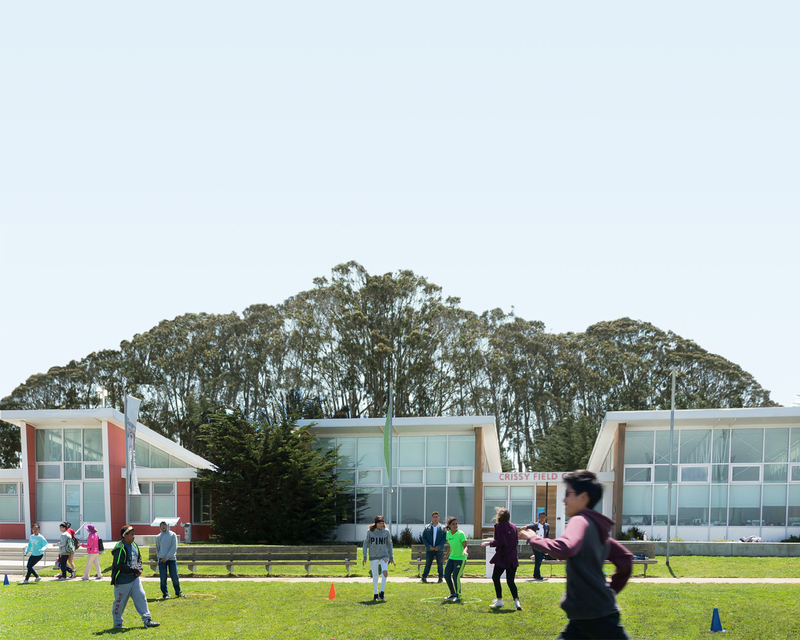 Located on the west end of Crissy Field, just east of Fort Point, in an historic building from 1909. Stop in during your bike ride, dog walk, or hike along Crissy Field to enjoy freshly made sandwiches, soups, healthy snacks, delicious bakery items, and hot or cold drinks. Special kids’ menu too! Parking: Large parking lot just behind the building. Free parking weekdays, small fee on weekends. Restrooms: Located next door to the Warming Hut. The Parks Conservancy celebrates the beloved Crissy Field with this handsome graphic available in an outstanding silk-screened edition.